(1967) Henry Silva, Fred Beir, Ida Galli, Peter Dane. Silva excels in this remarkable, surreal thriller. 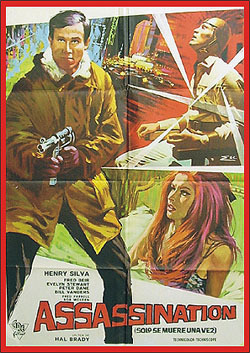 Silva is set to be executed at the beginning of the film. Yet, later we see him again as a young-looking mysterious character. Is it the same man? He then goes after a well-known crime boss, posing as his long lost brother. Nightmarish and dreamlike with a creepy music score. Color, scope, 35mm.